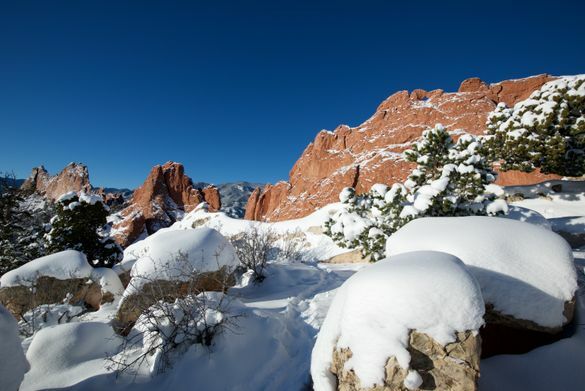 Colorado Springs, Colo. – From the world’s first holistic hospitality hotel to remodeled elementary schools and buses, the wonders of the Pikes Peak region are gearing up for a winter full of new experiences, delectable food, pristine mountain trails and even a resurrected Tyrannosaurus rex. Founded as a resort town in 1871, Olympic City USA has drawn travelers from around the world for decades offering unrivaled natural beauty, endless blue skies, a mild climate and more than 55 man-made and natural attractions. Home to iconic landmarks such as Pikes Peak – America’s Mountain, Garden of the Gods Park, the Colorado Springs Olympic Training Center and U.S. Air Force Academy, the city and surrounding region is a popular destination for families, outdoor enthusiasts and couples.